Charles C. Zhang currently serves as the Founder, Managing Partner and Chief Executive Officer of Zhang Financial. 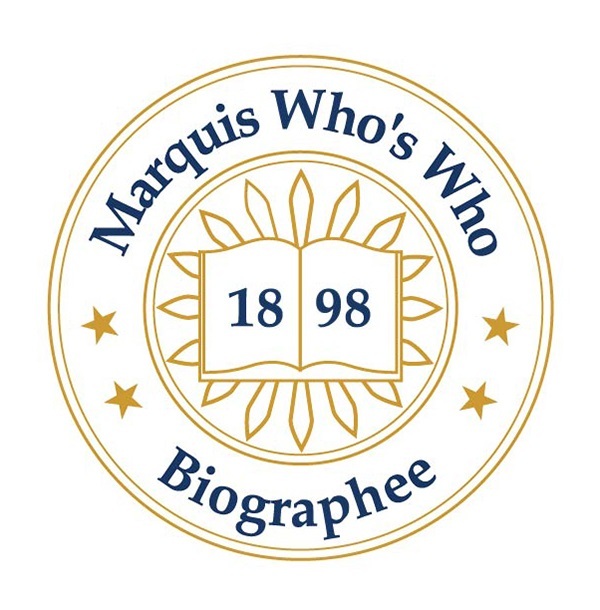 PORTAGE, MI, March 22, 2019 — Marquis Who's Who, the world's premier publisher of biographical profiles, is proud to present Charles C. Zhang, CFP, MBA, with the Albert Nelson Marquis Lifetime Achievement Award. An accomplished listee, Mr. Zhang celebrates many years of experience in his professional network, and has been noted for achievements, leadership qualities, and the credentials and successes he has accrued in his field. As in all Marquis Who's Who biographical volumes, individuals profiled are selected on the basis of current reference value. Factors such as position, noteworthy accomplishments, visibility, and prominence in a field are all taken into account during the selection process. With many years of professional excellence to his name, Mr. Zhang currently serves as the Founder, Managing Partner and Chief Executive Officer of Zhang Financial. An independent fee-only wealth management group with offices in Portage, Battle Creek, Grand Rapids and Troy, MI, and Naples, FL, Zhang Financial has a team of prestigiously credentialed professionals who offer unbiased investment research and advice. Providing a number of financial planning services, Zhang Financial works with such products as exchange traded funds, no-load mutual funds, stocks and bonds, 529 plans, as well as a variety of retirement planning options. Mr. Zhang has also worked as a financial advisor for American Express Financial Advisors, now known as Ameriprise Financial, Inc., and as an adjunct professor at Western Michigan University in Kalamazoo. He also notably authored the book “Make Yourself a Millionaire: How to Sleep Well and Stay Sane on the Road to Wealth,” which was published by McGraw-Hill in 2003. Due to his expertise in the field, Mr. Zhang has been interviewed on a number of occasions and has been featured in such publications as The Wall Street Journal, Forbes, Barron's, CNBC, The New York Times, The Washington Post, the Chicago Tribune, Reuters, the Associated Press, and many more. Mr. Zhang earned a Master of Science in Financial Services from the Institute of Business and Finance and completed his Executive Education from Harvard Business School and from Columbia University in New York City. He also holds a Master of Arts in Economics from Western Michigan University and a Master of Business Administration from the Kellogg School of Management at Northwestern University in Evanston, IL. He is a CERTIFIED FINANCIAL PLANNERTM practitioner, as well as a Chartered Financial Consultant and Charted Life Underwriter. As a true fee-only advisor, Mr. Zhang is registered with the National Association of Personal Financial Advisors (NAPFA). Dedicated to giving back to his community as well, Mr. Zhang regularly involves himself with a number of civic endeavors. He has donated considerably to Western Michigan University and has had several facilities named in his honor, including the Zhang Career Center at the Haworth College of Business and the Charles C. and Lynn L. Zhang Legacy Collections Center. As a continuation of his philanthropy, Mr. Zhang recently established two endowed professorships at Columbia University – one in Economics and one in English and Comparative Literature. Mr. Zhang also supports such organizations as Chefs Against Hunger, the Kalamazoo Humane Society, Clean Water for the World and the Veterans News Network USA, among others. Mr. Zhang has received numerous honors and accolades over the course of his career. In 2012, Ministry with Community presented Mr. Zhang with The Sisters of St. Joseph Group Volunteers of Excellence Award. He was named the number one Financial Advisor in Michigan by Barron's from 2013 to 2018. Forbes also ranked him number seven among America's Top Wealth Advisors and the Number One Independent Advisor in 2018. Furthermore, Barron's ranked Mr. Zhang number six out of the Nation's Top 100 Independent Financial Advisors and the Highest-Ranked NAPFA-Registered Financial Advisor in 2018 as well. Having accomplished much over the years, Mr. Zhang is most proud of becoming the number one ranked financial advisor in the company with American Express Financial Advisors by the time he was 29. He is also incredibly pleased with his current rankings in the profession and, looking towards the future, he intends to keep up his hard work to maintain those titles. In light of all of his accomplishments, Mr. Zhang has previously been selected for inclusion in Who's Who in Finance and Business, Who's Who in Finance and Industry, Who's Who in America, Who's Who in the Midwest and Who's Who in the World. In recognition of outstanding contributions to his profession and the Marquis Who's Who community, Mr. Zhang has been featured on the Albert Nelson Marquis Lifetime Achievement website. Please visit www.ltachievers.com for more information about this honor.